North Korean leader willing to meet Trump “at any time”, but warns he will seek “new path” if US continues to demand unilateral action. North Korean leader Kim Jong Un said on Monday night that he is willing to meet US President Donald Trump “at any time”, but also warned he would seek a “new path” if the United States continues to demand unilateral action from North Korea, Reuters reports. In his New Year address, Kim said there would be faster progress on denuclearization if the United States takes corresponding action. He stressed that his resolve for complete denuclearization remains unchanged. Kim also called for South Korea to stop joint military exercises with “outside forces” involving strategic assets, while multilateral negotiations should be pursued to build a permanent peace regime on the Korean Peninsula. Subsequent contacts between the US and North Korea resulted in Kim and Trump holding a historic summit in Singapore last June, during which they signed an agreement which includes a commitment to achieve total denuclearization of Korea, with promises to pursue “vigorous negotiations” to that end. Trump's hopes of arranging a follow-up summit have been at a standstill, with the North Koreans abruptly calling off a meeting in New York last month with Secretary of State Mike Pompeo. 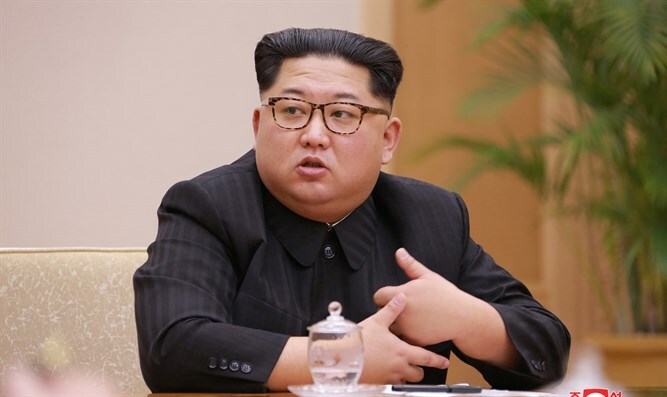 North Korea has been insisting on a relaxation of wide-ranging sanctions on the country, while the United States said that the UN Security Council should only ease pressure once Pyongyang takes concrete steps to end its nuclear program. Kim’s message on Monday night follows reports that he had sent a “conciliatory message” to Trump last week.